Federal District Court Judge Economus ruled in favor in the early voting lawsuit. Golden Week is restored as are evening hours and an additional Sunday of early voting. Another victory for ALL Ohioans! An appeal by the Secretary of State and the AG could be forthcoming as GOP continues to attempt to restrict Ohioans voting rights and voting opportunities. Ohio’s elected officials should be making it easier to vote, but Secretary of State’s directive does irreparable harm to the people of Ohio. One-size-fits-all solutions don’t work for our diverse state. Our largest county is 95-times the size of the smallest—our local elections officials need the flexibility to craft a system that works for their voters. At a time when 400,000 plus Ohioans are unemployed or underemployed, and we have middle class folks working two and three jobs to make ends meet, working families should not lose their voice in our government because we suddenly we want to close the polls on Sundays–the only day that some have off. 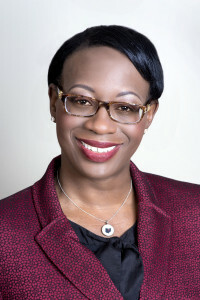 Today, Nina Turner, Democratic candidate for Ohio Secretary of State, issued the following statement in response to Secretary of State Jon Husted’s opposition to the extension of a 2010 consent decree that allows voters to use the last four digits of the Social Security Number as identification to cast a ballot.